82 doctors already completed the course, of which 20 doctors are from outside Kerala. 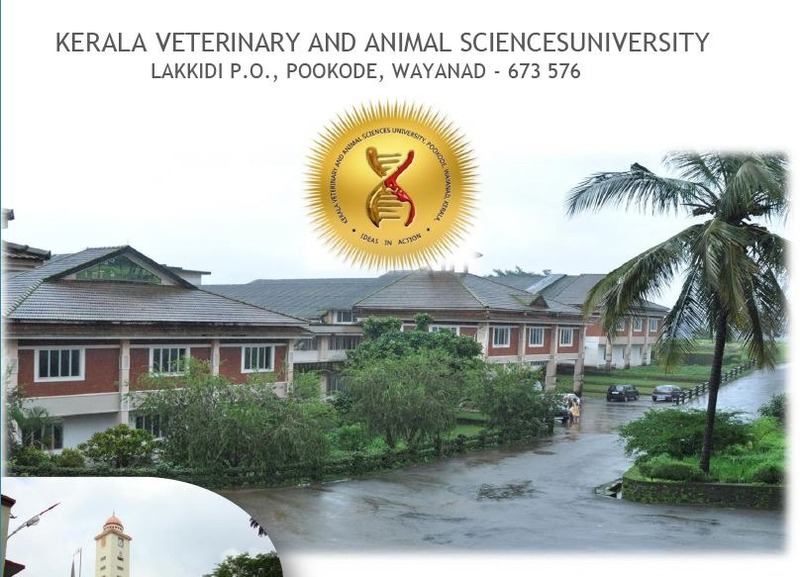 Applications invited for the second batch of Post Graduate Certificate Course in Veterinary Homeopathy by Kerala Veterinary University (KVASU) under Technology Enabled (Distant) Learning Programmes- 2016. Duration: 6 months. During the period of study candidate has to attend contact classes for 5 days. 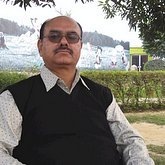 School of New Media and Research of Directorate of Entrepreneurship,KVASU. Homoeopathy has been a propounded system of treatment for animals as effective and efficacious in human beings since the time immemorial. Animals are treated homoeopathically for both acute and chronic conditions. Acute conditions include injuries. Both physical and behavioural problems are treated. Physical problems include conditions of the skin such as eczemas, eye inflammations, allergies, cough,gastrointestinal disorders, urinary tract diseases including infections and diseases of the kidneys, diabetes, problems of liver and thyroid, diseases of the loco motor system, neurological complaints such as paralysis and epilepsy and hormonal disturbances. More specifically cows and sheeps are treated for mastitis, calves for diarrhoea, pigs for respiratory difficulties and birds for eye infections. All candidates seeking admission for Technology enabled distant learning programmes should submit their applications on-line. Modulation of arthritis in rats by Toxicodendron pubescens and its homeopathic dilutions. Patil CR, Rambhade AD, Jadhav RB, Patil KR, Dubey VK, Sonara BM, Toshniwal SS. R. C. Patel Institute of Pharmaceutical Education and Research, Karvand Naka, Shirpur 425 405, Dhule, Maharashtra, India. Toxicodendron pubescens P. Mill (Anacardiaceae) known in homeopathy as Rhus toxicodendron (Rhus tox) is used as an anti-inflammatory medicine in homeopathic practice. In this study, Rhus tox in its crude form and homeopathic dilutions (3cH, 6cH, 30cH, 200cH) was evaluated for effects on Complete Freund’s Adjuvant (CFA) induced arthritis in rats. We assessed the severity of arthritis through observations including inflammatory lesions, body and organ weight and hematological parameters including C-reactive protein (CRP). Blinded radiological analysis of the affected joints and pain intensity determination was also carried out. Rhus tox protected rats from CFA-induced inflammatory lesions, body weight changes and hematological alterations. Rhus tox protected against radiological joint alterations due to arthritis. Arthritic pain scores were also favorably affected by Rhus tox. All the dilutions of Rhus tox including crude form showed anti-arthritic activity. The maximum protective effect was evident in the crude form at 10mg/kg/day, by mouth. This study supports claims in the homeopathic literature on the role of Rhus tox and its ultra dilutions in the treatment of arthritis and associated pain. Further study is needed to explain this anti-arthritic effect of Rhus tox. Results from a small, rigorously designed, research study at the University of Bristol’s Department of Clinical Veterinary Science have pointed the way towards a larger clinical trial of homeopathy for the treatment of atopic dermatitis in dogs. Atopic dermatitis (eczema) is an itchy, chronic, skin disease that can affect humans and animals such as dogs. Twenty dogs were recruited to the study from the referral sample seen in the veterinary dermatology clinic at the University. Dogs were diagnosed with non-seasonal atopic dermatitis and those entering the study had positive reactions to multiple allergens to confirm the diagnosis. Some dogs continued to receive conventional drugs. This category included dogs that had residual, stable and persistent pruritus (itching) despite receiving glucocorticoids, ciclosporin or allergen-specific immunotherapy. The dogs were prescribed individualised homeopathic medicines by vet John Hoare. Two months after starting the treatment, the owners of 15 of the dogs reported no improvement. However, owners of the other five dogs reported pruritus scores that were at least 50 per cent improved compared to their pets’ score at recruitment. One of the five dogs improved by 100 per cent and needed no further treatment. The other four dogs that responded well in this first phase were then put forward into a blinded randomised trial in which they received their homeopathic prescription at some times and placebo at other times. The three dogs that completed this phase of the study improved more with the active remedy than with placebo, and owners were able to distinguish correctly which pill was which. Dr Peter Hill, who was lead clinician on the study, said "These preliminary data indicate the need for a large randomised controlled trial of homeopathy in canine atopic dermatitis." Dr Robert Mathie, Research Development Adviser at the British Homeopathic Association, who collaborated in the study, added "We hope that many of the country’s veterinary schools and other specialist referral centres might participate in a multi-centre trial." The team reports its results in the March 21 2009 issue of Veterinary Record (Volume 164, Issue 12).